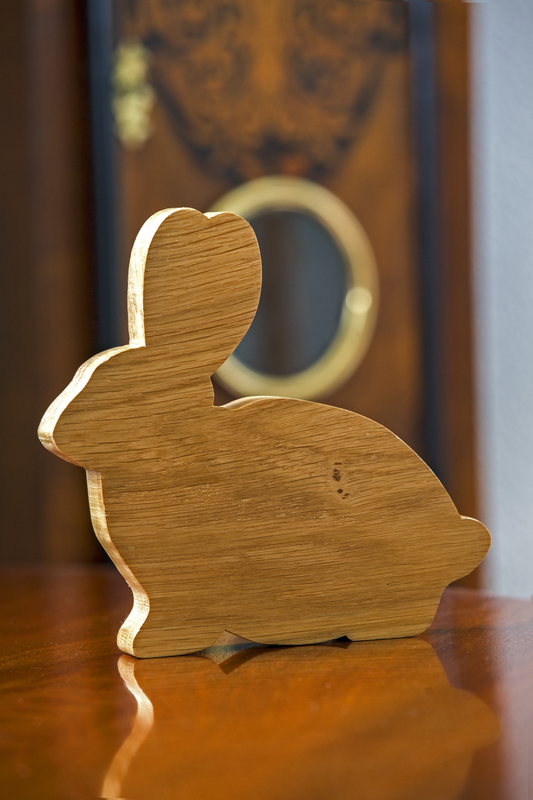 Huxley is a beautiful rabbit, hand-cut from solid oak and finished with high quality wood oil and several coats of beeswax polish to give a silky-smooth texture. 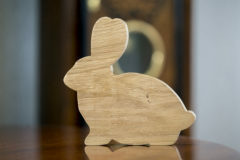 The oak from which he is made is approximately 20mm thick, and he’s roughly 19cm from nose to tail, and 19cm from the bottom of his paws to the tip of his ears. 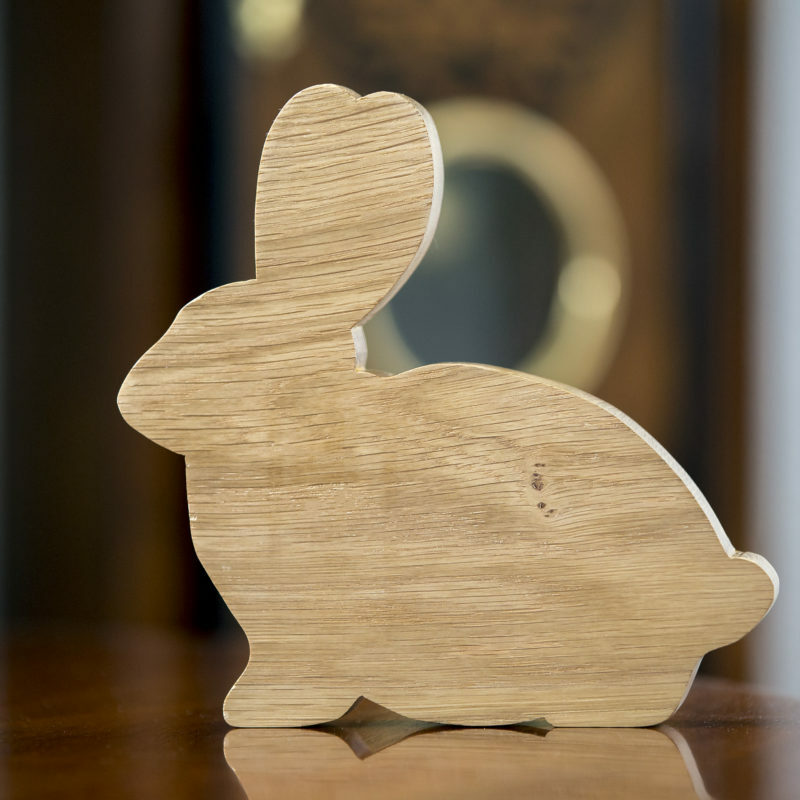 Huxley makes an ideal Easter present, a beautiful and tactile traditional wooden toy animal for a very lucky child, or a stylish ornament for a shelf, display cabinet, desk or window sill. And, like everything else I make, he goes to his new home with a brief history of the wood from which he was created.